* what I need to do differently to ensure that success. One thing the definitely added to my enjoyment and success with FUN was my monthly posts sharing how FUN manifested itself in my life during the previous month and my goals for the coming month. So, I've decided to continue this practice with INSPIRATION! 1. Vision Board - I enjoyed creating vision board pages to go in my INSPIRATION notebook. 2. Start Fresh - I fully participated in this event and shared my review HERE. It was definitely worth the time and money invested for a fresh start to the year. On the way to Austin I made a quick stop in Waco. 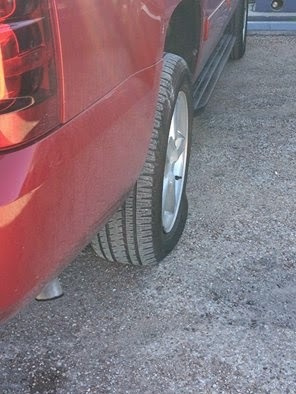 As I was pulling out of the parking lot onto the access road, I . . . ran over a curb! Yep - I really think I should make up a more glamorous story, but the truth is I hit this rather high curb (more like a cement guardrail really). I pulled into a Shell station parking lot and watched the back right tire go from 35 pounds of pressure to ZERO! Several phone calls & an hour later, a nice man from Popalock was there to put the spare on. (Yes, I know how to do that myself, but have seen those little jacks that come with these big ol' Suburbans? No way!) Actually, I didn't even know where the tire tools were, but after a thumb through the owner's manual, we found them underneath the holder/slot where I keep an extra Bible. (Maybe we should have prayed about it first, right! :)) After another stop at Discount Tire to have the air pressure in the spare checked (because, of course, the air machine at the Shell station was out of order), I headed back home so that I could purchase a new (two actually!) tire the next day. Luckily Amy and I were able to link up the next week when she was in Dallas! 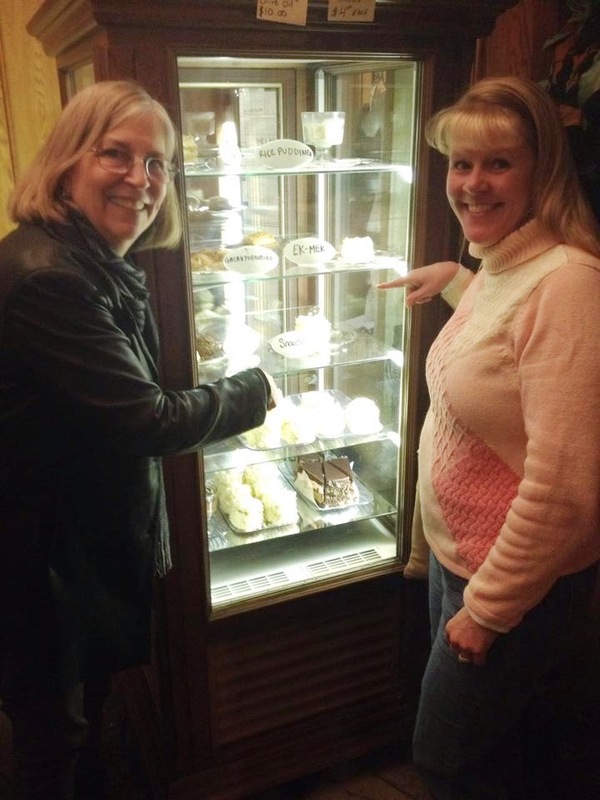 We were even able to share dessert first, which is becoming our January tradition. 4. 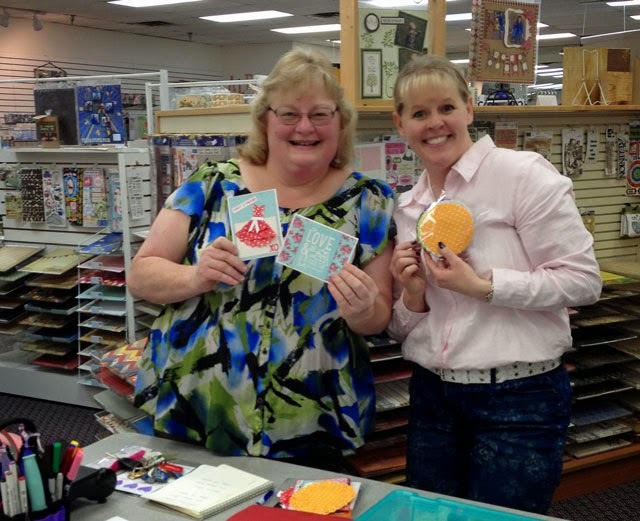 Valentine's Day Card Class - I had a great time teaching this class at Scrappin' Goodtime. Everyone especially liked the doily dress card, so I created a video tutorial (which I'll share later this week). I was having so much FUN that I forgot to snap any photos until this one at the very end of class! 5. Truth Scrap - My friend Thayer came over and we spent all day yesterday watching videos and listening to introductions and question and answer sessions in the Truth Scrap event. Honestly it was almost too much INSPIRATION for one day and we actually muted the computer for a few sessions. I'll be sharing my (very few) creations and a review of the event in an upcoming post. The best part of the day was getting to visit with Thayer. 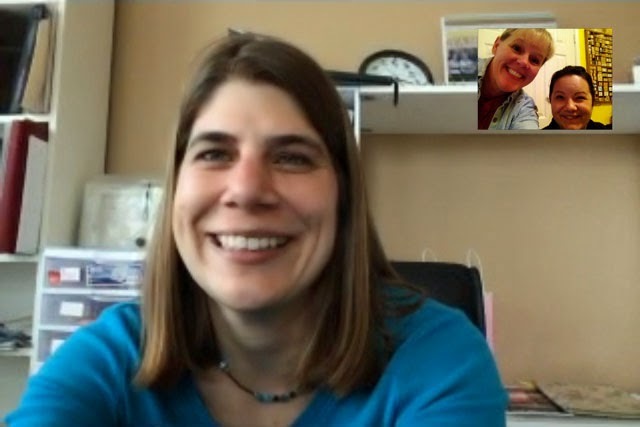 We also FaceTimed with Amy (who was enjoying in the event from Austin) and with LeAnne. 6. Inspiration Sandwich - I actually read three books on INSPIRATION in January. I found lots of other creative INSPIRATION in January and completed 21 layouts, 2 canvases, 2 cards and a video tutorial. I also started a Worship Journal (which I'll share more about in a future post). I printed and bound my 2014 blog posts book, watched Lain's free Scrapinar on 3D Stamp Paint, made great progress on my 2014 digital workflow, reviewed materials in one of my BPC self-paced classes, and published 11 blog posts. And I enjoyed having friends (Amy, Ally, Summer) spend time in my craft room at various times throughout the month. 1. Simple Scrapper membership - I'm planning to use the INSPIRATION provided to create layouts throughout the month. 2. 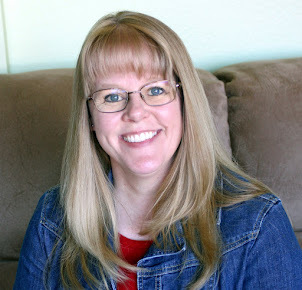 Scrapbook Expo - I'll spend two days at this event in Grapevine, Texas. I'm joining my friend Amy for the Thursday evening Mega Make & Take Exchange (a 3pm-midnight crop party) & the All About Versamark class on Friday afternoon. Of course, I'll also enjoy strolling through the booths and maybe even adding a few new items to my stash. 3. INSPIRATION notebook - Now that I've had time to ponder this year of INSPIRATION, I'll complete the set up and share my January pages and how I'll be using this tool in an upcoming blog post. 4. January Top Five - I've seen several posts over the past month inspired by Jo's challenge to herself to choose her favorite five photos each month and get them scrapped during the following month. I'm going to challenge myself to do the same thing, except rather than just choosing my five favorite photos, I may choose one photo or a group of photos or a story or an event that I want to scrap. Here's my January Top Five list: (1) Trey & family visit, (2) "Girl's Night Out" with Mama, (3) Pun'kin baptized, (4) Twins got email & text & FaceTime, and (5) Summer said "Me, too." I have to admit I actually had a list of 12 layouts I want to create for January, and it was hard to narrow it down. I'm excited about trying this new idea - thanks for the INSPIRATION Jo! 5. Strong Women Stay Slim - Throughout the year, I'm planning to read books that will inspire me in various areas of my life. I'll be reading this book as INSPIRATION in my quest for a healthier lifestyle. What kind of INSPIRATION did you enjoy in January? What are your plans for exploring and acting on INSPIRATION in February? Once again, you've blown me away with your productivity! What a great month of INSPIRATION and creativity! Wow! What an amazing start to the year. I added a few of those books to my list to check out, they looked very interesting. Great job living your word! Wow! You've done amazing for January. Sorry about the tire incident. I'm sure that was no fun at all! 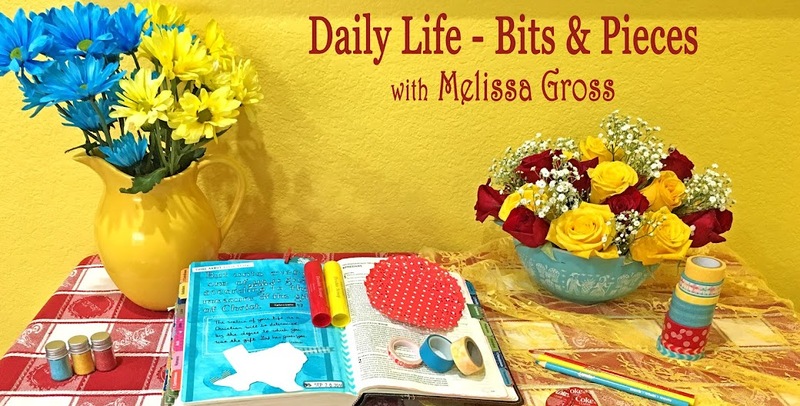 I'm setting a different art/craft intention each month to see where it fits in my creative life. January was sketching; February is scrapping!